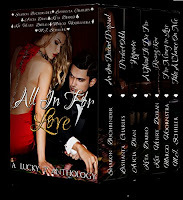 Sweet to sensual, seven stories from award winning and bestselling authors . . . Welcome to La Bonne Chance Resort & Casino! With thousands of people passing through the casino's doors on a daily basis, it's no surprise that a variety of lives and loves are on the line there. It's said that you're more likely to lose your heart at La Bonne Chance than a hand of poker. Whether you are the Director of Casino Operations or the guy who created its software, a jilted bride or a black jack dealer, a past guest's ghost or a sous chef--when it comes to love, the stakes are high. Ready to roll the dice?